I used the felt scraps that I accumulated from making quiet books before Christmas. 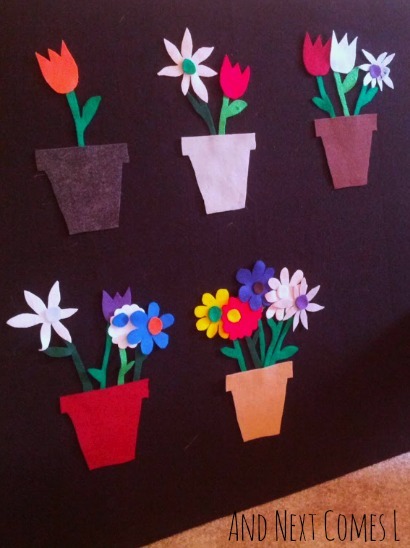 I cut out five flower pot shapes and enough stems and flowers to make 15 flowers. The entire play set is pictured below. The idea was to sort the flowers so that one pot would have one flower, another pot with two flowers, etc. 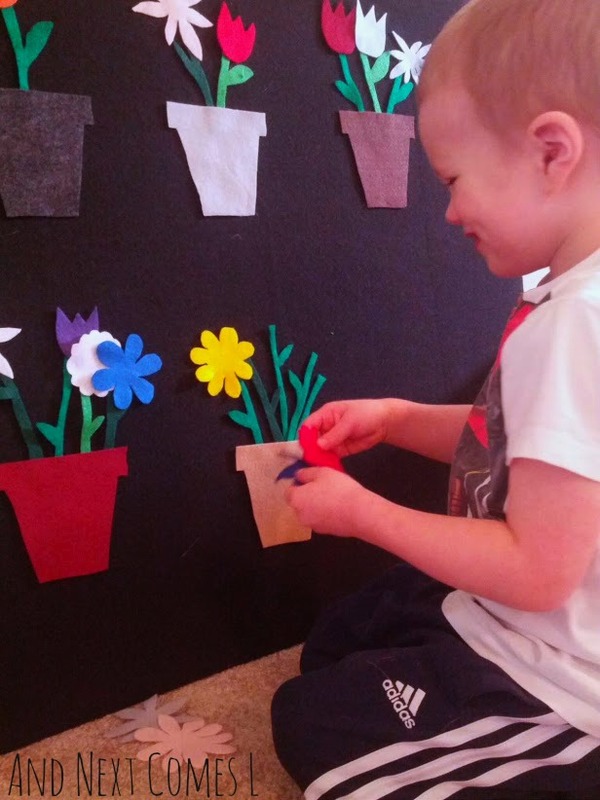 J quickly started "planting" some flowers. And here's J's finished felt garden. 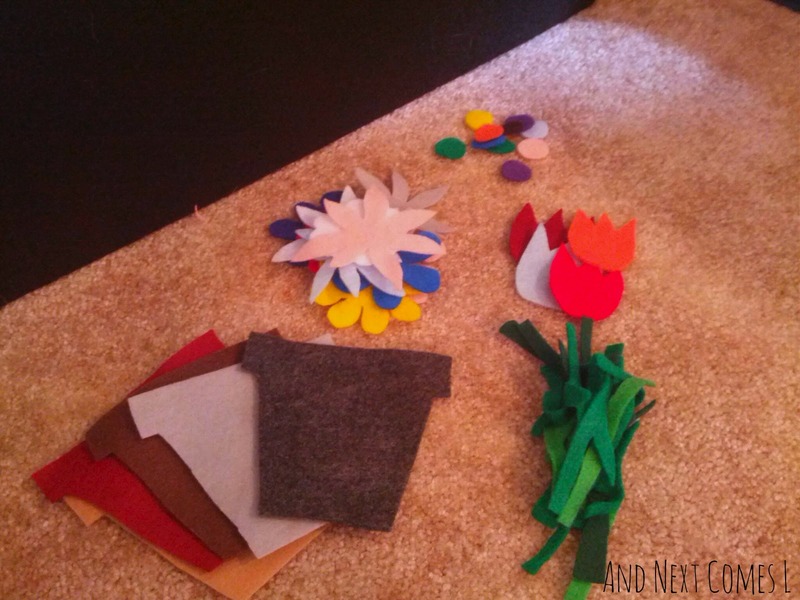 Looking for more felt board play ideas? You can view all our other activities here, including dinosaur dress up, mix and match monsters, and mix and match owls. Be sure to also follow my felt board play board on Pinterest. super adorable!! A felt board has been on my to do for a long time. 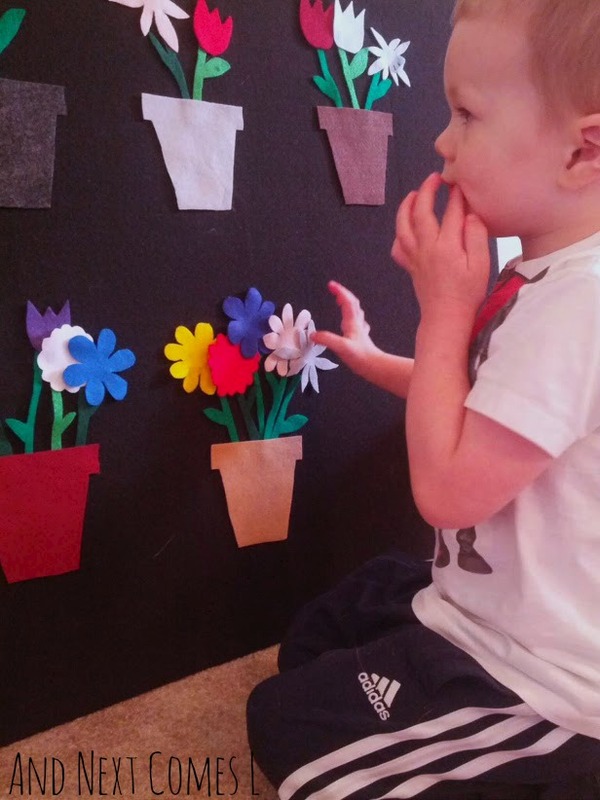 Felt boards are so easy and quick to make. You should give it a try. I'm only to your first post and I already love your blog :-). 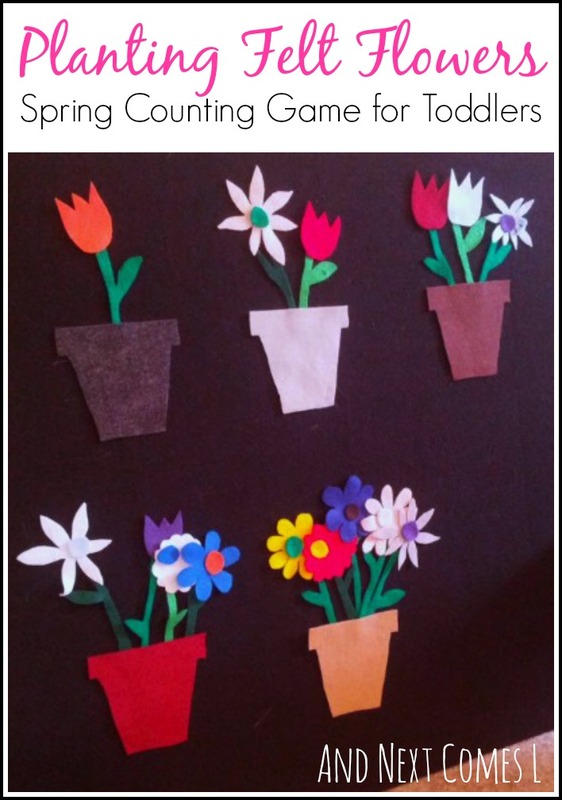 Such a great idea (pinned) and there's so many ways to play with it! How do you cut your flowers so perfectly? I'm for sure your newest follower! Thanks!! And my flowers are far from perfect. Just eyeballed the shape and cut. Trimmed petals where needed. Wonderful board!!! Your flowers look great! What did you cover to create your board? My original one used cardboard, but this one uses 3 foam boards duct taped and hot glued together. I am hoping to do a quick post about it soon. This is a sweet project! So many skill addressed here - and so much fun! thanks for sharing! Will do the same!